Set in 1890 rural England. The seven students at Saint Ethelreda’s School for Young Ladies, although very different in both looks and personality, have one thing in common; all are unwanted by their families and guardians. Sent to Saint Ethelreda’s ostensibly to cure their “character flaws” the girls have formed an impenetrable bond of friendship. A bond that not even murder by poison of the school’s miserly owner and headmistress, and her odious brother can break. With that, the scandalous sisterhood of Prickwillow Place is formed, and hey vow to stay together, run the school themselves, and discover the murderer. Why I loved this book: The bucolic, rural English setting is the perfect backdrop for a hideous death by poisoning, followed by its macabre cover-up. While none of the girls are perfect (Dear Roberta, Disgraceful Mary Jane, Dull Martha, Stout Alice, Smooth Kitty, Pocked Louise, and Dour Elinor) each add their own unique ability coupled with courage and resolve that makes them all stronger. There is a relatable character for almost every reader, and I especially like Stout Alice. Stout Alice is observant, clever, and a terrific mimic. 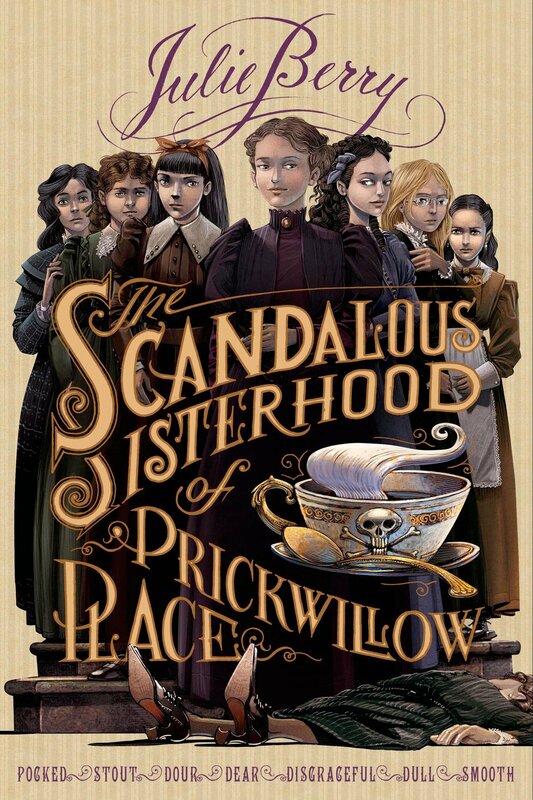 I’d recommend The Scandalous Sisterhood of Prickwillow Place to anyone who likes an intricate mystery with strong, well-defined characters. If you like a bit of romance and plucky young women outsmarting the adults this book is for you. This entry was posted in Debbie, female protagonist, historical fiction, murder, mystery, romance and tagged Debbie, mystery, romance. Bookmark the permalink.